A region’s economic vitality owes much to its commitment to transportation improvements. As such, WAPDD plays a crucial role providing facilities and extensive support for the Western Arkansas Intermodal Authority (WAIA). WAIA’s role is to plan and develop initiatives for transportation improvements that benefit the entire Western Arkansas region – especially those that better support the movement of goods and freight that are so important in driving the region’s economy. As part of that effort, WAIA coordinates efforts with units of government at all levels, and takes a leading role in the pursuit of public and private investments to achieve the transportation improvements that can help move Western Arkansas forward. 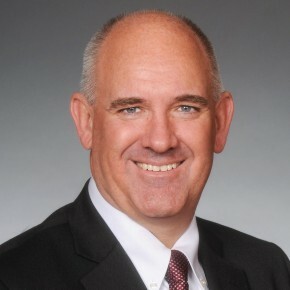 In addition to WAPDD – which provides operating space for WAIA – other development partners include the Van Buren and Fort Smith chambers of commerce, the Fort Chaffee Public Trust, the Northwest Arkansas Council, the Arkansas Department of Transportation and the Arkansas Economic Development Commission – in addition to local government and private sector leadership. Jay White, Pepper Source, Inc.
WAPDD continues to work with WAIA and its board to advance the transportation priorities of Western Arkansas. For information about WAIA and WAIA activities, contact Mathew Pitsch at (479)785-2651.